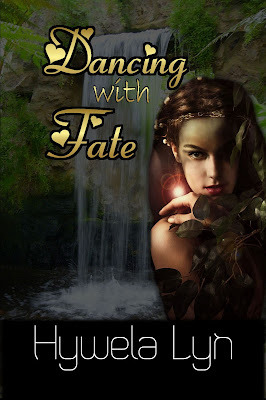 Weekend Writing Warriors #SundaySnippet - 'Dancing With Fate' - ""...I may not be able to help you"
Hi fellow Snippeteers and readers. Welcome to my Weekend Warriors post and another snippet from my fantasy novella. Thank you to everyone who's been following my snippets so far. Don't forget to visit the other authors at the link below this post, there's something for all tastes. I'm currently sharing snippets from my fantasy novella 'Dancing With Fate'. Terpsichore, muse of the dance, has been summoned by Apollo to return t 5th Century Wales to renew the Celts' spirits and love of music and dance. His next words fill her with dismay. "It is well; you will need to use subtlety, though. Times have changed since you were last there, it would be better for you to take the form of a mortal." "No, not give it up, I doubt Zeus would allow that, nor would you want it from the expression on your face. Zeus and I have discussed the matter and feel you should pretend to be mortal for a while. Mingle with the people, bestow on them the enthusiasm to dance again." He paused, "of course you will not be able to use any of your powers..." She drew in her breath, unable to hide her dismay. That could present a problem, she was not used to being without her magick. Apollo seemed to read her thoughts. "At least," he went on, "not before mortals, or in a way it could be discerned, you must not allow your inner psyche to glow when you are among them. Know also, that your powers may wane and you may not be able to get inside their minds or use the gift of foretelling." He looked even more serious, "if you have a problem, I may not be able to help you."